What will downtown construction mean for Huntsville? Molly Ross (left) with the District of Muskoka visited our club on April to share details about several major district infrastructure projects planned for the community's core starting in 2019. Projects include water and sewer infrastructure improvements as well as sidewalk and road works for King William Street in 2019, Main Street in 2020, and the downtown Mountview sewage treatment plant closure in future. Club members heard they could visit engagemuskoka.ca to learn more about the projects, and provide comment on them. 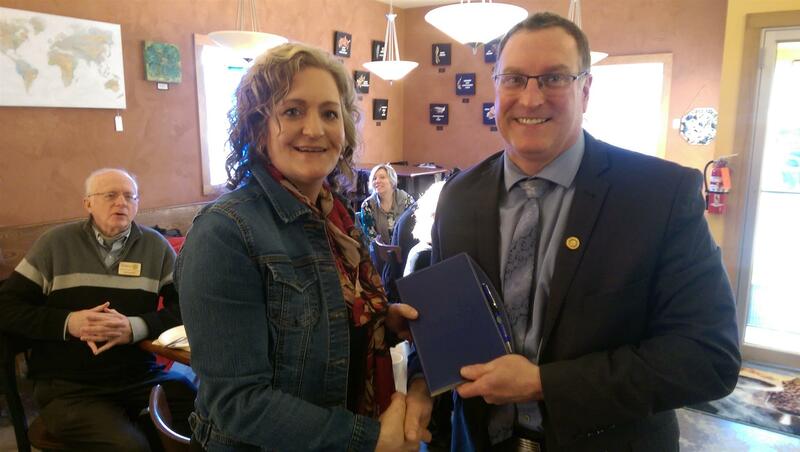 President Steve (right) presented Molly with a small token to thank her for acting as our guest speaker on April 11.